As a family owned and operated business, BMT has a reputation of providing unmatched responsiveness to our customers needs. With over one hundred years combined experience in the fields of general machining, tool and die, mold making and aerospace, we offer a unique range of capability and cost competitive services for simple to complex machined parts. To excel by providing quality machining services to our customers and experience corporate and personal growth through customer satisfaction, introduction of new markets, and implementation of new technology and improved processes. 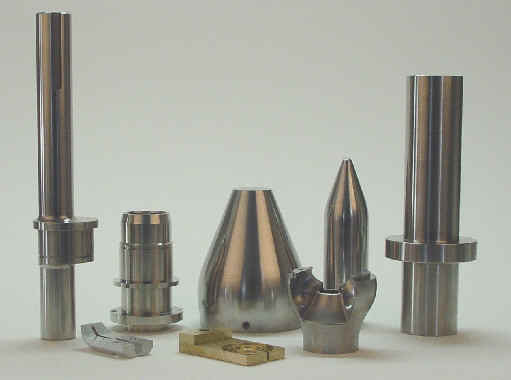 BMT offers precision CNC machining services to high technology industries. We are a full service job shop providing complete machining, heat treating, finishing, inspection, and assembly of simple to very complex components, subassemblies and complete assemblies. Our background in engineering and machining allows us to understand and evaluate the customer's application. We will often assist our customers in designing their tooling or piece parts by offering our expertise in the areas of materials, heat treating, finishing, and part machinability. The company philosophy at BMT is to reinvest to position the company for continuous growth. This reinvestment comes through the purchase of new equipment, the latest software, and training. BMT is an active member of MPMA (Minnesota Precision Manufacturer's Association) utilizing the numerous meeting, training, and seminar opportunities offered by this organization. BMT has also relied on the expertise of consultants within MTI (Minnesota Technology, Incorporated) to incorporate financial and quality programs to provide the foundation required to meet our goals. © 2009 Becker Machine & Tool, Inc. All rights reserved.